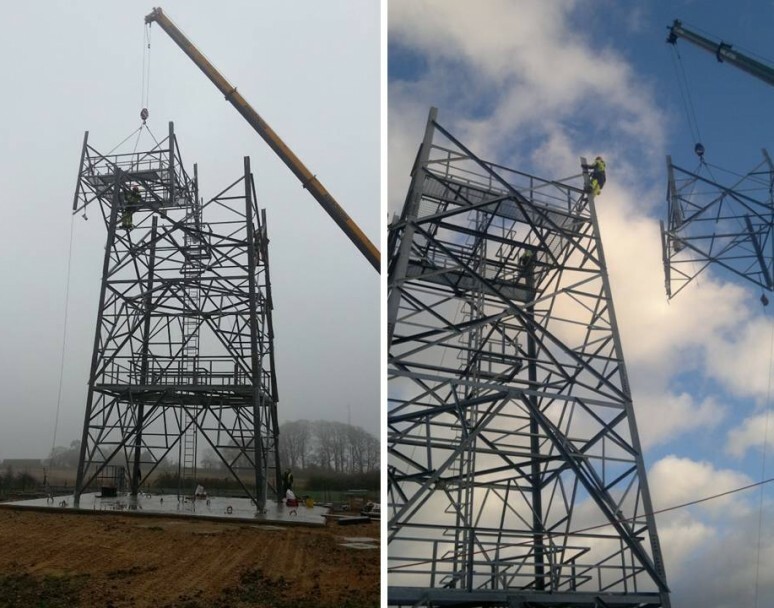 LARS Communications provided a turnkey solution to BT for the design, fabrication and installation of a 60 metre telecommunications tower at the Alton TV Relay Station at Golden Pot in Hampshire. The tower is designed to carry numerous antenna and dishes including those taken from the condemned tower also on site. 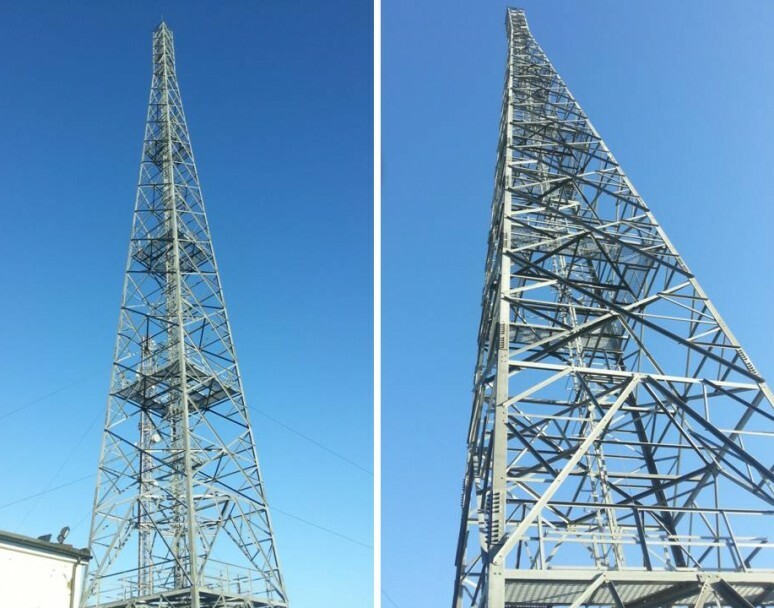 The steel, lattice tower was fabricated at LARS production facility in Lancashire. The structure included an internal un-caged ladder with rest platforms at 10 metre intervals and 5 working platforms at 4, 14, 24, 36 and 53 metres with full hand railing, open mesh flooring and trap doors. All steelwork supplied was in accordance with current British Standards of grades S275 and S355. 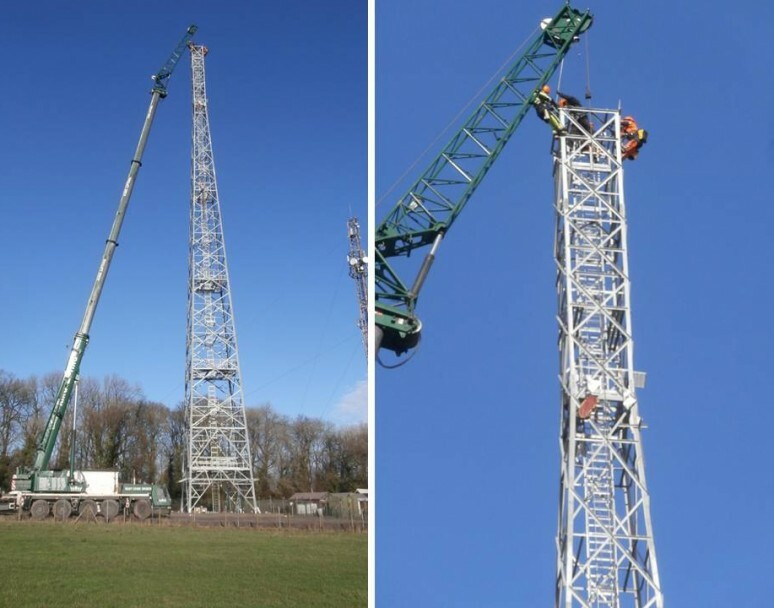 The structure weighs approximately 32 tonnes and has been manufactured conforming to ISO9001 quality standards with full compliance to current British, European and CE Marking standards. 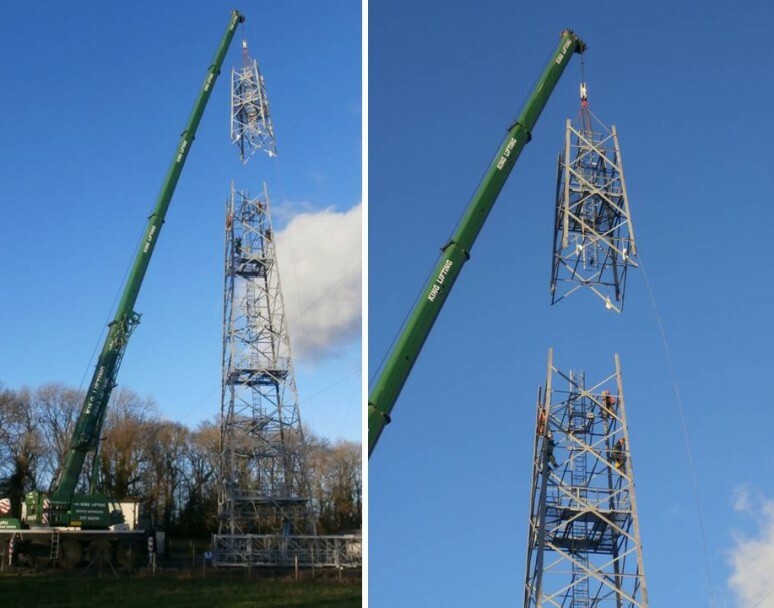 The first 2 sections of the tower were transported to site initially with the remaining sections following as the construction work progressed. 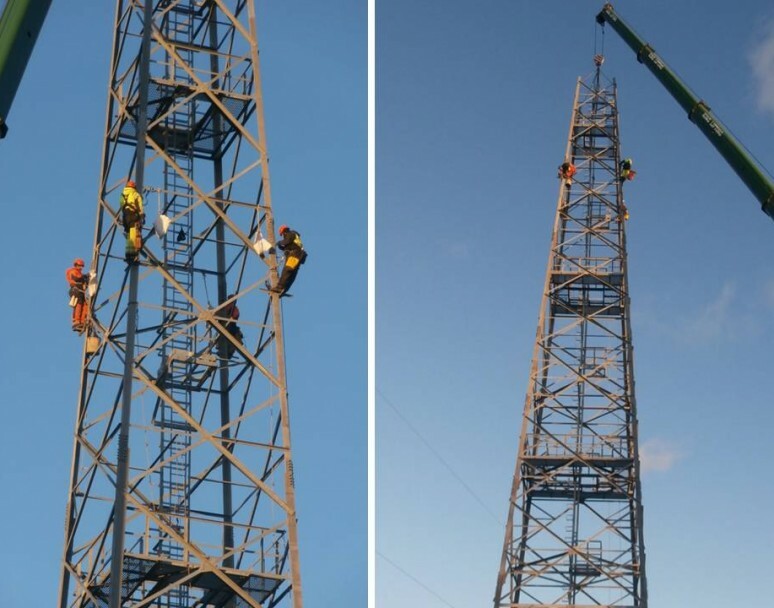 A 5 man team from LARS erected the tower utilising various plant and equipment including cherry pickers and 35, 55 and 100 tonne mobile cranes.